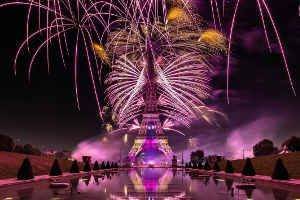 For the main French National Day celebrations in the centre of Paris on July 14th, pyrotechnics company, Groupe F contracted Belgian company, Laser System Europe to stage a spectacular lighting and video display. And they, in turn, needed to look no further than PR Lighting’s IP catalogue, drawing heavily on the AQUA range. These annual celebrations traditionally kick off with a formal military ceremony, followed by a huge military parade down the Avenue des Champs Élysées and flyover by military aircraft. 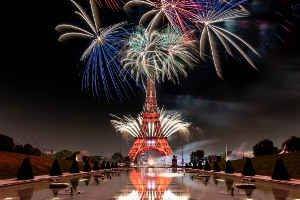 This is followed by a spectacular fireworks and laser / light and video show at the Eiffel Tower on the Champ de Mars, which starts at 11pm and lights up the sky for the next 30 minutes … to the amazement of crowds reaching some 700,000 people. Laser System Europe were working at the event for the first time, projecting the same show onto two faces — one the Champ de Mars and the other facing out to the Trocadero. LSE hold a large stock of PR Lighting LED and discharge fixtures in their inventory. 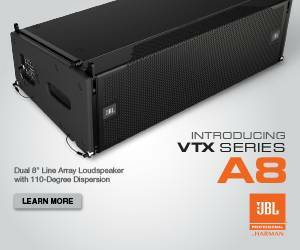 “And recently we bought a lot of their AQUA 480 Beam and AQUA LED 600 Spot,” he reports. Both fixtures are IP65-rated, making them suitable in all weathers and conditions. For this show they installed 110 x AQUA 480 Beam, 45 x AQUA LED 600 Spot and 12 of the new Hydra 440 Beam, an IP44 waterproof version of the XR 440 Beam. The entire show (music, pyro, lighting, laser and video) was directed by Christophe Berthoneau from Groupe F. The lighting designer was Francois Van der Meeren and laser designer Bruno Sellier — both from LSE. As for the multi-effect AQUA 480 Beam, with its large aperture beam, this was making its debut for LSE at the Eiffel Tower — and it certainly won’t be the last time it is used to such dramatic effect.